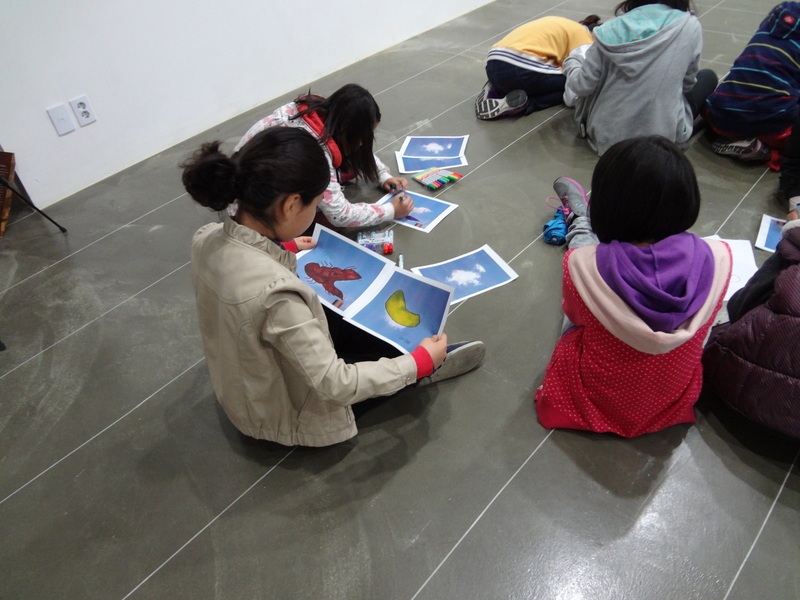 Recently, a teacher of one of the classes to whom I gave a workshop during my residency here in Korea asked me if I benefited from the visit as much as the students did. 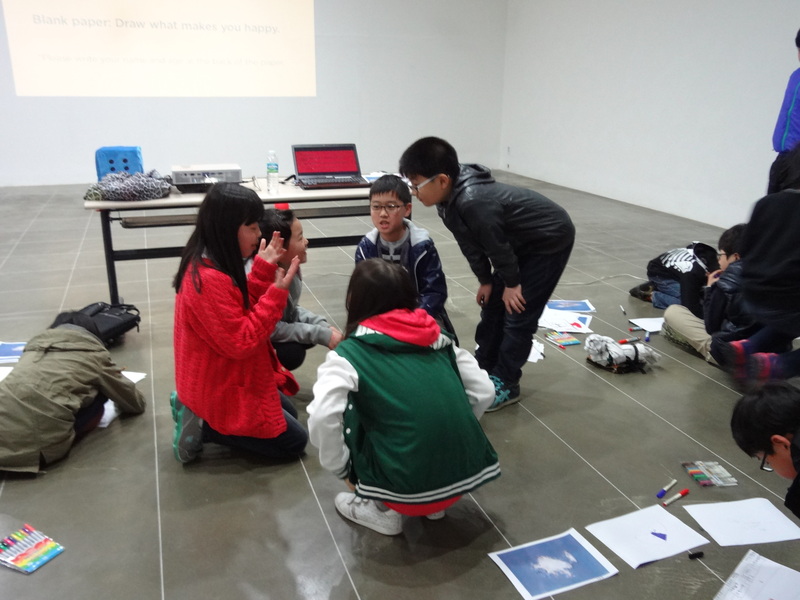 On that day, I gave a short talk in the exhibition hall, and the children drew, created their own games, and together we went through my studio upstairs. I suppose that for most people, these would fall into the category of Favors You Don’t Really Want to Do But Feel Forced To—”occupational hazards” that goes with the territory. But as one who operates on interactivity, and one who is still in the “emerging” process, I think I actually need these visits. I’ve done three talks/workshops in Korea in the five months I’ve been here, and for one of those, I was actually the one who asked the program manager to find young people who would want to visit the studio. This doesn’t apply to all artists, of course, and quite a lot of my favorite artists prefer to be left alone, as I do most of the time. Creativity for me thrives on solitude, and anything that takes me away from my primary goals is an interruption. 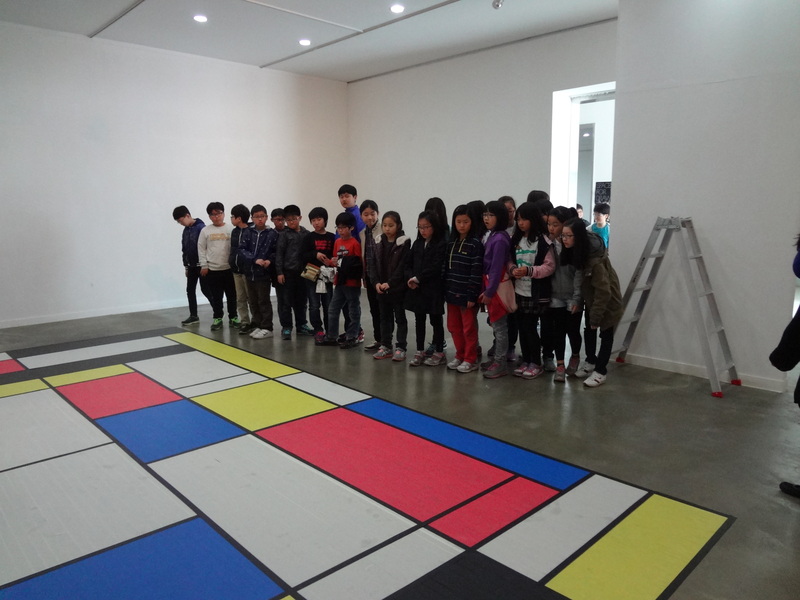 But visits, particularly of the workshop-py kind and particularly from children, are special to me. (Personally, I prefer kids who are 12 years old or younger, and with at least one chaperone, thanks!) Giving a Keynote presentation is just 20% of the experience. The other 80% is about the conversation that goes on between them and me, between them and my work, and among themselves. Here are five reasons why I think I should make a conscious effort to get out of the confines of my studio and make sure I keep bringing people below five feet tall to see both process and finished piece. 1. Children bring me back to the essence of the work by asking the toughest questions. Thankfully, children do not ask me any pseudo-intellectual academic queries. I also know they probably don’t care (at least directly) about the institutional strings that come with my work, such as the artist statement, the photos, the website, the design, the branding, the talks, the tweets, the blog posts, and all the administrative work I have to do in the background. Apart from the fun they have during those few hours, they will likely not care about my work or me once they step out of the studio—it’s just another day for them, and they have no ulterior motives. I think this is why they ask me questions that make me go, “Yikes, I didn’t think of that.” It makes me think more deeply and objectively about my work. 2. Children ask questions of themselves and of each other. When children use my projects as frameworks for self-discovery, it is incredibly rewarding. 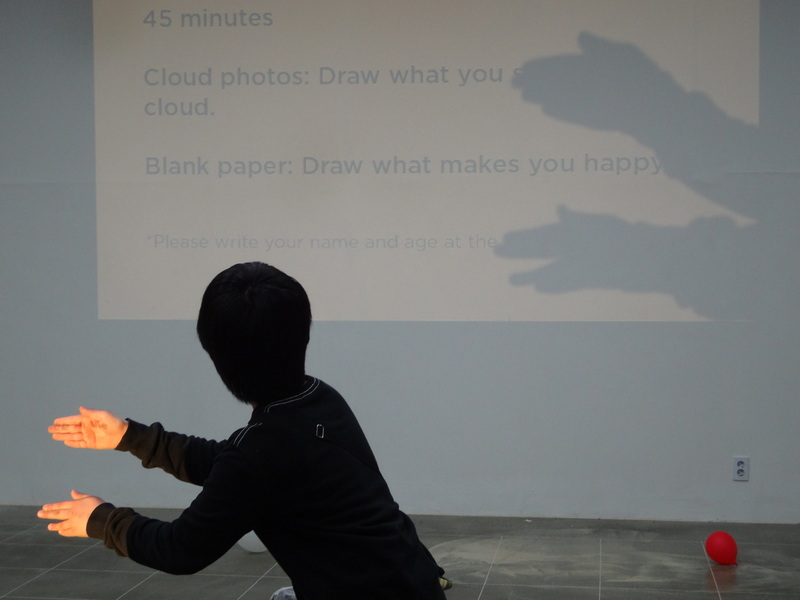 I remember telling a friend after one workshop that the peak of a project’s “happiness curve” (yes, I have that for all the things I have done) was that day, seeing excited kids jump on my work and doing drawings, instead of the exhibition that came soon afterwards. 3. Children are great prototype testers. …because they know what to do and they don’t even have to ask questions and it’s faster to get results and oh my god with adults sometimes you have to FORCE that window of childlikeness and wonder open with a metaphorical monkey wrench and geez at the end we’re both exhausted. Happy, but exhausted. With children, it’s just easier. There, I said it. 4. Children make me admit my mistakes without shame. This is something I had to admit to myself only after discussing my work a number of times to different people, but I discovered that with children for an audience, my intention is to delight, while with adults as an audience, my intention is usually to impress. Guess which one is a lot more fun? 5. I am forced to clean up. This seems like a silly thing to add, but it’s good to be forced to make sure the studio is tidy, that I have sensible presentations on hand, and that I am showered and presentable. Before, you know, I go down that rabbit hole.